Most of the time there is not any scores listed or updated scores while the games are going on. The very very slow loading times for the scoreboard page is ridiculous as well for me. Sometimes the full page takes 10+ minutes to even load. 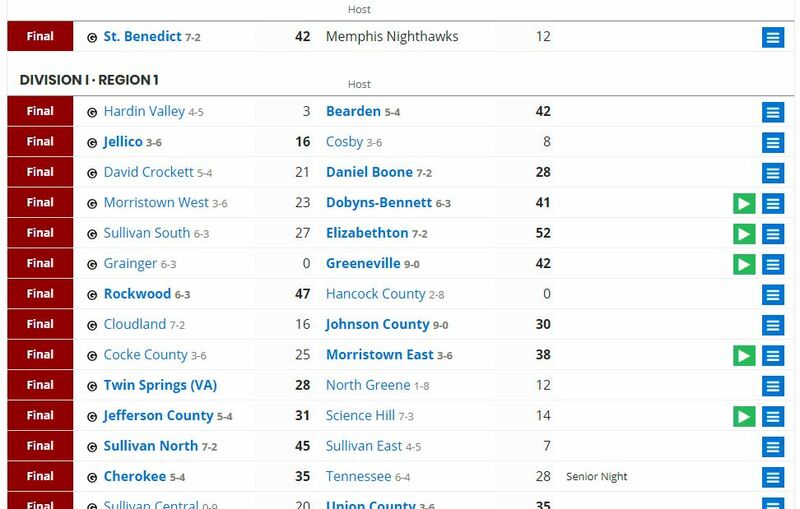 Right now, when I click on the scoreboard link to the right & then click on the pulldown to bring up football all that's loading up is down to Region 2. No further down will load up. That's after waiting at least 10 minutes too for the page to load. It won't show up any Regions games past Region 2.